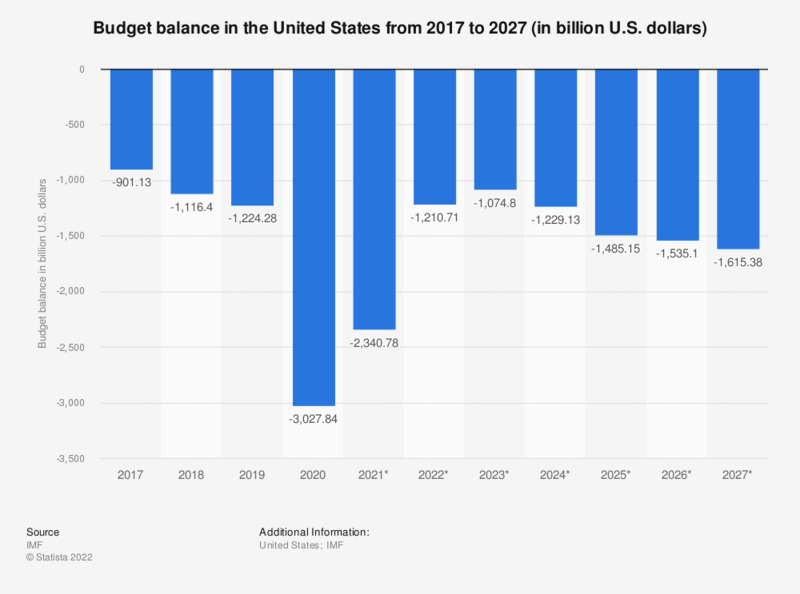 The statistic shows the budget balance for the United States from 2012 to 2017, with projections up until 2022. A positive value indicates a state surplus; a negative value shows a state deficit. In 2017, the United States' state deficit was at around 749.48 billion U.S. dollars.